With so much going on in Vancouver in the coming few weeks, it's hard to keep up with all the sporting and entertainment options on offer. Sure, there's a number of summarized guides being offered by various Bloggers, but that's not necessarily much help when you need to know what's on and how to get to it, at a moments notice. For iPhone and iPod Touch owners, your all encompassing solution has now arrived. 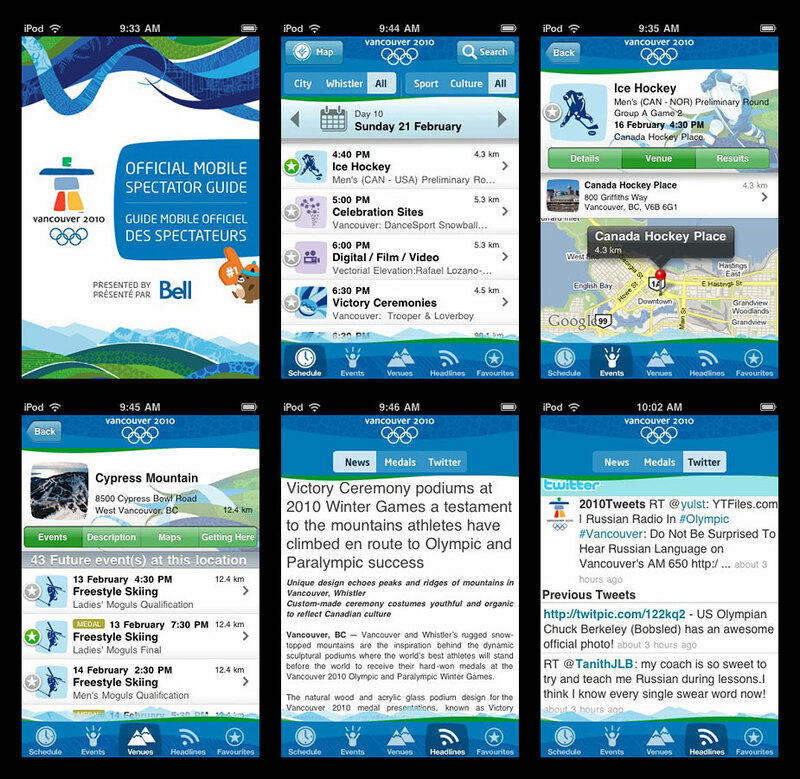 The FREE Official Mobile Spectator Guide of the Vancouver 2010 Olympic Winter Games was recently released in the Apple iTunes Store. Covering more than 2,000 sporting and cultural events across all Olympic venues and other places of interest, the guide uses the iPhone's optional location awareness technology to let you know how far away certain events and parties are from where you are, and harnesses Google Maps to show you how to get to them. Filled with venue information, maps, diagrams and event timetables (see screen shots below), this beautiful application makes it dead easy to compile your own selection of "Favourites" which you can save for easy reference as the Olympic festivities unfurl. You'll never have an excuse for missing any of the big events over the next few weeks! For more information, and to get your own FREE download of the application, visit the Official 2010 Vancouver Guide application page on the Apple website. PS. Give the app a "shake" and see what happens!